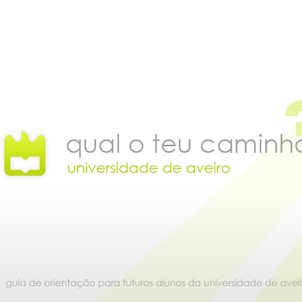 With the original title “Qual é o teu caminho?” this project was meant to help the student in his decision about your future during University. An offline application to be delivered in all national secondaries schools with the purpose of informe about all the opportunities available at University of Aveiro. The multimedia content helps to understand through vídeos, images and even games the right path to follow.